Jimmy K’s Diner, a Haverhill breakfast and lunch spot near the New Hampshire border is not only expanding and moving a few feet, but plans to add dinner and beverages a bit stronger than coffee. 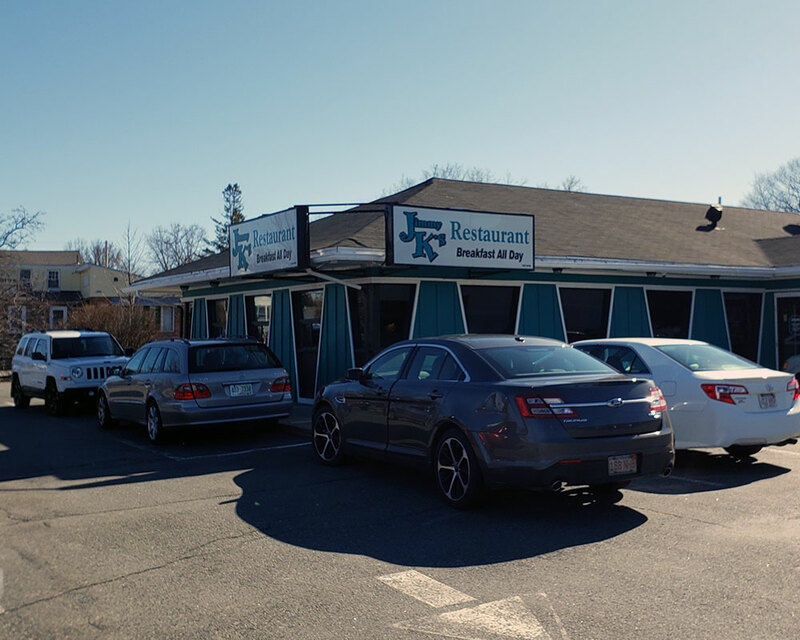 Haverhill License Commissioners approved the transfer of Jimmy K’s food license last week, but postponed issuing a requested license for wine, beer and cordials. Commission Chairman Joseph C. Edwards asked for the delay to better define the types of cordials to be served. Cordials are described as a sweetened distilled spirit. The state Alcohol Beverages Control Commission allows communities to grant licenses for “cordials and liqueurs” for restaurants serving food and possessing a wine and malt license. The four-year-old eatery, now at 101 Plaistow Road, expects to be open by June 1 as it moves to a Plaistow Road plaza that houses four new or soon-to-open restaurants. The restaurant will grow from 2,300 square feet to about 3,000, said owner Nick Katsoulis. Now closing during the afternoon, beer, wine and cordials would be allowed Monday through Saturday, 8 a.m.-9 p.m., and Sundays, 10 a.m.-9 p.m. Breakfast hours will stay the same, opening at 6 a.m. The $4.5 million plaza houses Chipotle Mexican Grill, Aroma Joe’s and Five Guys sandwich shop. Kobe Buddha House also plans to open. Full Harvest Moonz, a proposed retail marijuana store, hopes replace Jimmy K’s at the soon-to-be vacant standalone building. Full Harvest Moonz’ Janet Kupris still requires a special permit from the city and license from the Cannabis Control Commission.